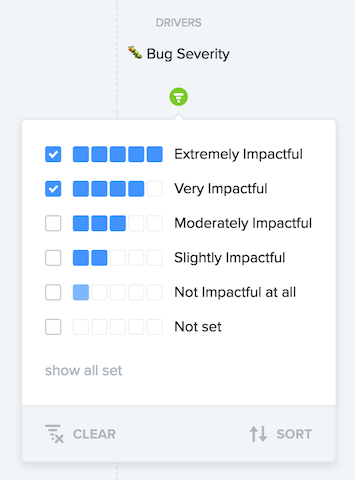 When bug reports stream into your Insights board, link them directly to bug feature ideas to prioritize bugs against other upcoming features. 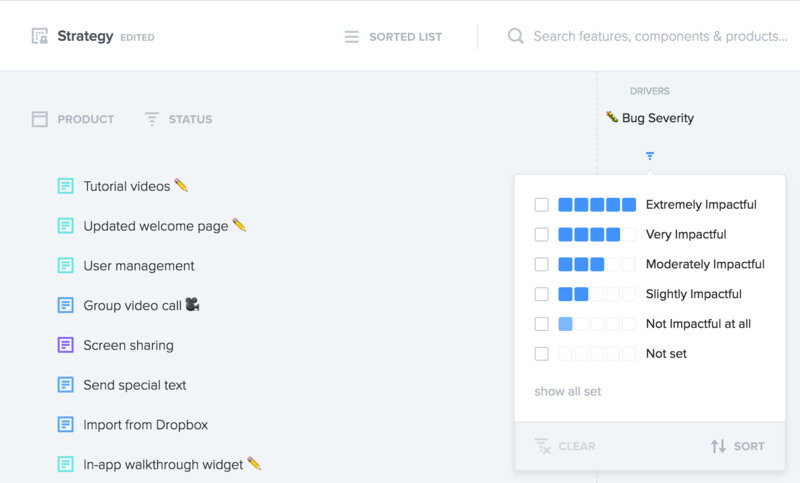 Our team uses productboard to track bugs right alongside feature ideas. We like having these in the same tool because engineers can either spend their time fixing bugs on existing functionality or developing new functionality, so these two types of work should be prioritized against each other. You might also opt to log critical bugs in productboard, before pushing into JIRA, Pivotal Tracker, or Trello. But since these may need to addressed immediately, it may be easier to add them straight to the current/upcoming sprint/cycle in your agile planning tool. We use the following system for tracking bugs in productboard. While most of our bug reports come by way of Intercom, this system could be adapted for use with other forms of input, like Zendesk, email, or the Chrome extension. 2. Reviewing: Product managers review incoming bug reports to verify whether they are in fact bugs at all, whether they're known issues, or whether they're new bugs. When incoming issues do relate to new or existing bugs the product manager links them to bug fix feature ideas. For example, if a user submits a minor UI issue that is being reported for the first time, the PM can highlight the explanation and link it to a new feature idea. We like to add an 🐛 emoji before the name to help with searching and identifying bugs in the feature list. We also recommend creating a bug severity driver in your project. You'll then be able to use this for logging the severity of each bug you log, right in the feature details pane. Back on the Features board, I can now switch to a bug tracking view I've saved for myself. It has my bug severity driver displayed as the first column, so I can use column filtering to quickly show just those features that are bugs (bug severity>0). That's all there is to it. In the case of critical bugs, we might add them to the current release and push them straight into our agile planning tool so they'll be addressed right away. All other bugs can be triaged, prioritized against new functionality, and added to upcoming releases. What processes do you have in place to track bugs in productboard? We'd love to hear from you.